First Aid Training St Helens – Our experienced trainers use up to date first aid manuals, manikins for CPR, role play for scenarios which is backed up with power-point presentations and DVDs. The emphasis on every course is to allow participants to become confident in their skills through a range of theory and practical sessions as well as continuing assessment and feedback from the trainer. The first aid courses are all designed so that you have fun whilst learning and at the same time gain rewarding and recognised qualifications. We have delivered training to large and small companies, several county councils and we also cater for individuals with our open courses. 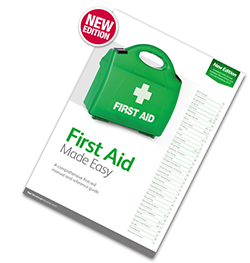 First Aid Training St Helens – We have first aid courses available in St Helens to suit a variety of different levels of training and experience, from single day appointed persons or refresher courses, to more extensive and in depth courses. First Aid Training St Helens – Each Delegate will receive a FREE First Aid manual on attending any of our First Aid courses and because our First Aid courses are fully accredited, you can be assured that you have fulfilled your legal responsibilities for providing quality first aid training to your staff. First aid training St Helens – For more information on our first aid courses offered by Training Solutions North West and how we can help you find the right training courses for your business please email us or alternatively, call us on 0151 515 0416 and speak with one of our training Consultants. 1 Day Emergency First Aid at Work Training delivered directly in your workplace anywhere across St Helens. Courses delivered throughout 2018 and for a group cost of 6-10 delegates for only £425.00.